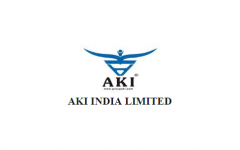 AKI India IPO Description - Established in year 1994, AKI India is engaged in the activities of producing and export of saddlery goods, services of the leather shoes and trading of leather chemicals at domestic level. The company’s core competencies are in-house technical knowledge, skilled workforce, diversified product portfolio. The company deals in all kinds of footwear’s leather accessories. After successful running of saddlery business for 13 years, the company set up its own leather footwear unit in the year 2007-08 and started manufacturing and export of leather shoes. The company was involved in wholesaling and distribution of branded basic footwear and had forayed into the retail business in year 2013. Further in the year 2010, he company decided to go in for the backward integration and planned to set up its own tannery to produce finished leather also. AKI India IPO allotment status is now available on Link Intime's website. Click on this link to get allotment status.